Although, it’s officially the first day of summer today, we have had some hot summer days the last couple of weeks. 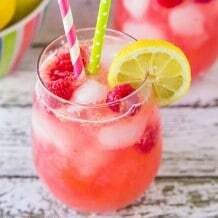 Last week, it was 90 degrees and it was the perfect day to be on the boat and sip on this delicious Watermelon Lemonade. 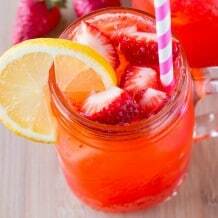 It’s super simple to make and makes for the perfect summer drink to cool off with on a hot summer day. 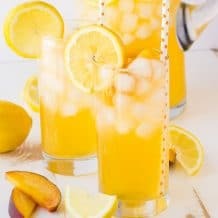 Ok, so what are you waiting for let’s celebrate the first day of summer with this delicious lemonade! 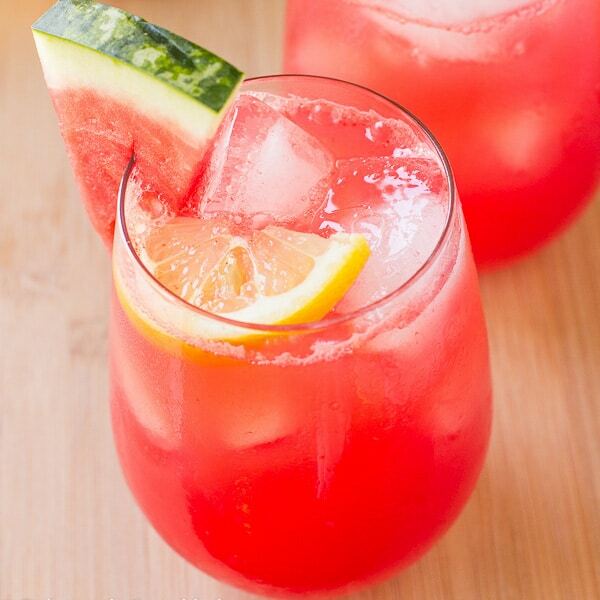 All you need is a seedless watermelon, some fresh lemons, sugar and flavored sparkling water. 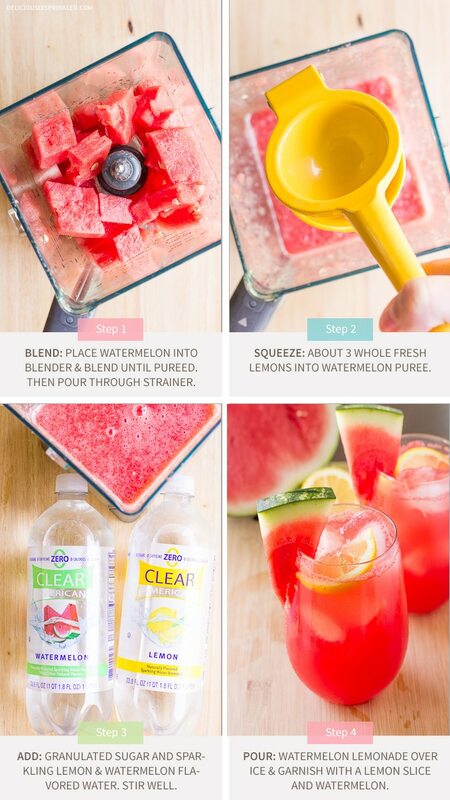 Using a blender, blend the chopped watermelon until the watermelon is pureed. I like to pour the watermelon through a fine mesh strainer but you don’t need to strain it if you don’t want to. Then pour the watermelon puree into a large pitcher, squeeze about three lemons into the watermelon puree and stir in the sugar. 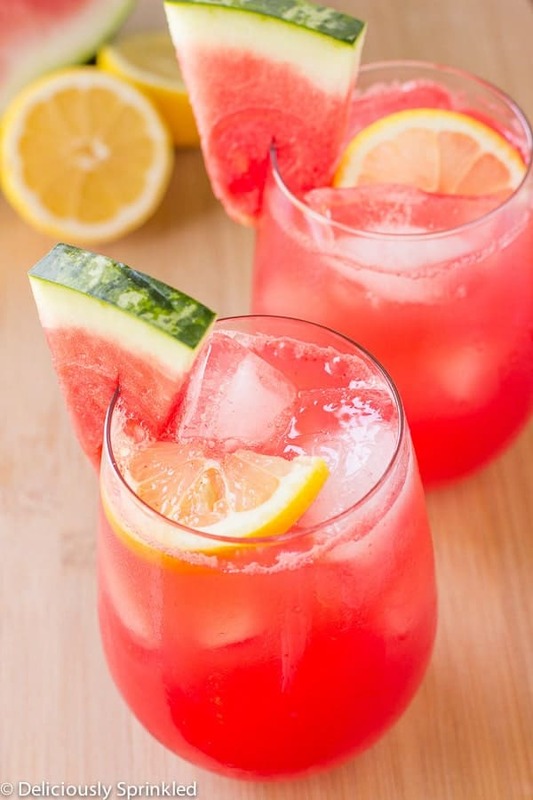 Lastly, to give this lemonade some extra flavor & fizz, I like to use lemon and watermelon flavored sparkling water. But if you don’t want to use sparkling flavored water, no problem, you can totally use plain cold water too. STEP 1: Place watermelon cubes into blender and blend until the watermelon is completely pureed. Pour over a fine mesh strainer into a large bowl. STEP 2: Pour strained watermelon into a large pitcher. Add fresh squeezed lemon juice and sugar. 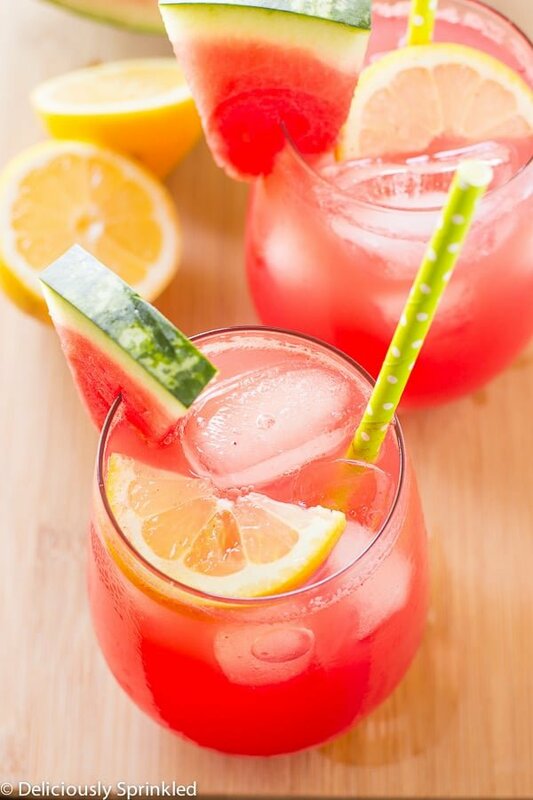 Add lemon and watermelon flavored sparkling water. Stir well. STEP 3: Serve over ice and garnish with a lemon and/or watermelon slice. MMMMMM, this looks so good.